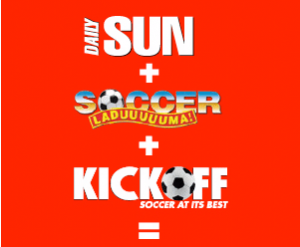 The first of the big five has dropped the monthly fee for its entry-level account. The entry of TymeBank into the local market and imminent launch of Bank Zero (expected after mid-year) has seen rival banks rush to cut fees on their entry-level accounts. TymeBank says it is “exceeding” its plan, in terms of both client acquisition and adoption. At the end of February it had signed up around 70 000 customers. By now, that number is almost certainly over 100 000 and likely closer to double that. This seems impressive, and given that it’s done almost no marketing, it is. But Capitec is adding over 100 000 new customers a month. It does not want to give (ultra) price-sensitive customers any reason to shop around, though. The Stellenbosch-based bank cut the monthly pricing of its Global One account by 14% to R5 from April. It also cut a number of other transaction fees by anything from 6% to 38%. The only fees to increase were cash-related ones (including a change to how it charges for ATM withdrawals). On Wednesday, Nedbank announced that it would be dropping the R5.50 monthly account fee from its Pay-As-You-Use (PAYU) account. Per-transaction fees remain, but the bank contends that because clients only pay for what they use, this offers them “complete banking fees transparency and the power of a Gold cheque card which allows for global acceptance and online shopping on all e-commerce platforms”. The bank points to consumers feeling the pinch in an environment of low economic growth as a reason for the change. While this may be true, competition in this segment of the market is intensifying. At the end of 2018, the bank had a total of 1.525 million main-banked customers in its entry-level segment (which includes – and is primarily – PAYU clients). Nedbank has two other offerings with no monthly fees: Nedbank MobiMoney (a mobile-based account) and Unlocked.me for students and youth. 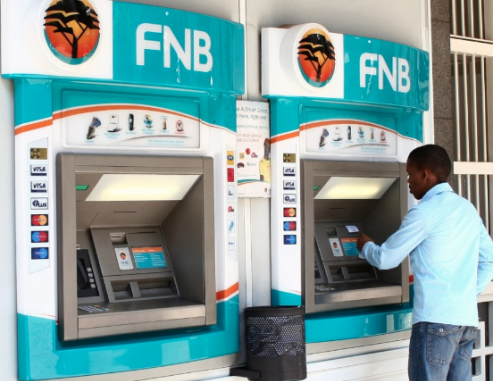 In August last year, FNB launched eWallet eXtra, a mobile digital account built on top of its popular eWallet service (these mobile-only accounts do not offer debit orders). There is no monthly account fee for an eWallet eXtra account. The bank says that by the end of December, it had over 120 000 customers, with total transaction volumes near 700 000. The bank has hinted at simplification coming to its entry-level offerings, which currently comprises Easy Pay-As-You-Use (R5.75 per month) and the Easy Smart option (R65 per month). This will likely be announced as part of its annual pricing review in June. Standard Bank has taken a similar approach to FNB, with its Instant Money Wallet. It is not, however, currently positioning it as a mobile-only bank account (even though it is). Absa does not yet offer a mobile-only account/wallet. Absa’s low-cost Transact account is R5.30 per month, while Standard Bank’s Access account is R5.60. Neither of these offer real innovation in terms of benefits or pricing. Moneyweb is aware that at least one of the two will launch a new low-cost offering imminently. Old Mutual’s Money Account – the cheapest among those that charge fees – has been very successful, with one million accounts opened to date. But only 211 000 of these are active. The offering has a strong savings incentive, with a savings account alongside the traditional transactional one. Savings earn a rate of return equivalent to Old Mutual’s Money Market unit trust. Both Postbank and African Bank are expected to enter the transactional space soon as well. Many readers of this site don’t particularly care whether their banking costs them R4 or R400 a month. But the real battleground is for the millions of underbanked customers, with pensioners as an (unintended?) secondary market for these ultra low-cost accounts. With Bank Zero to come (beta testing is underway and the bank is now an option when entering beneficiary details at other banks) and TymeBank not yet hitting its stride, surely the innovation and competition is just getting started?